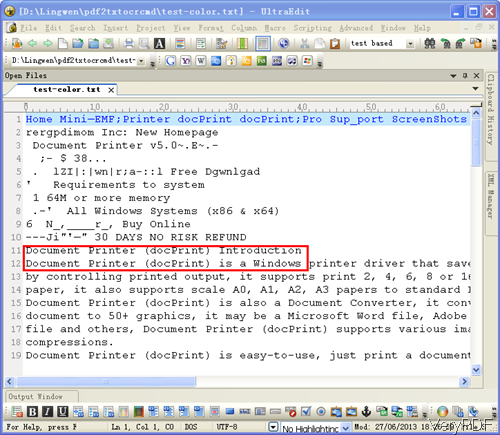 ← How to convert image PDF to text PDF for highlighting text in PDF ? Sometimes we do need to extract text from scan file then we can reuse the content of it. 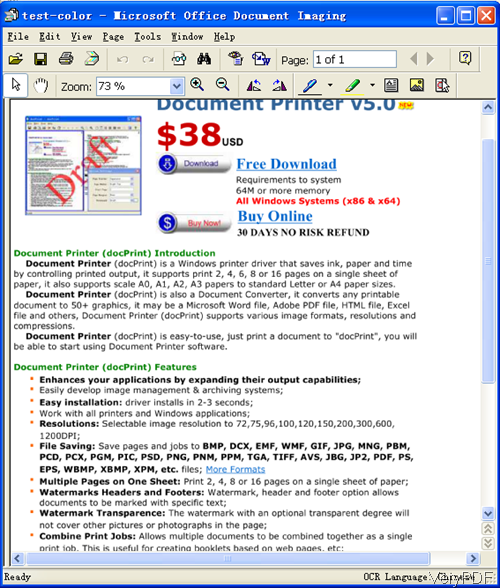 In this article, VeryPDF will show you one method of extracting text from scan image file by command line and I will take extracting text from multipage tiff file for example. The software I use is PDF to Text OCR Converter Command Line, which can be used to extract content from PDF image and other file. There are only server version and developer version stated on our website. If you are common user on laptop or computer, please use the server version. Once downloading finishes, please extract zip file and open MS Dos Window then you can run the conversion. Step 2. Extract text from multipage tiff file by command line. When extracting text content from tiff file, please refer to the following command line templates. You can either convert scan tiff files to text or scan tiff file to text based PDF file. By this command line, we can extract content in scan tiff file to text file directly. By this command line, we can convert tiff file to searchable PDF which allows you to copy text freely. 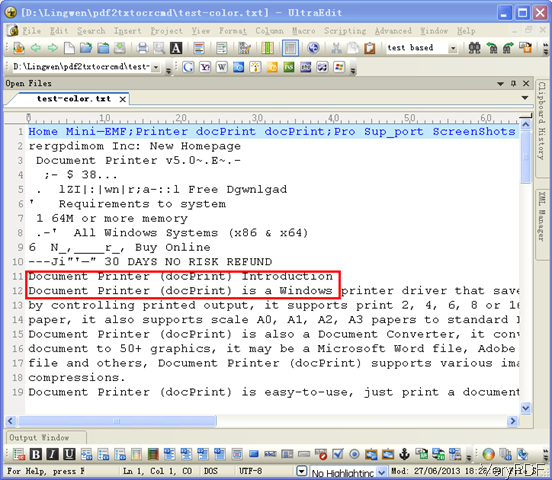 And meanwhile you can set threshold and output to OCRed PDF file (BW) with hidden text layer. Now let us check related parameters to the conversion. There are too more functions to be listed here. If you need to know more parameters, please check them in readme.txt. Now let us check the extraction effect from the following snapshot. During the using, if you have any question, please contact us as soon as possible. This is from output text file. This entry was posted in PDF to Text OCR Command Line and tagged command line, extract text. Bookmark the permalink.